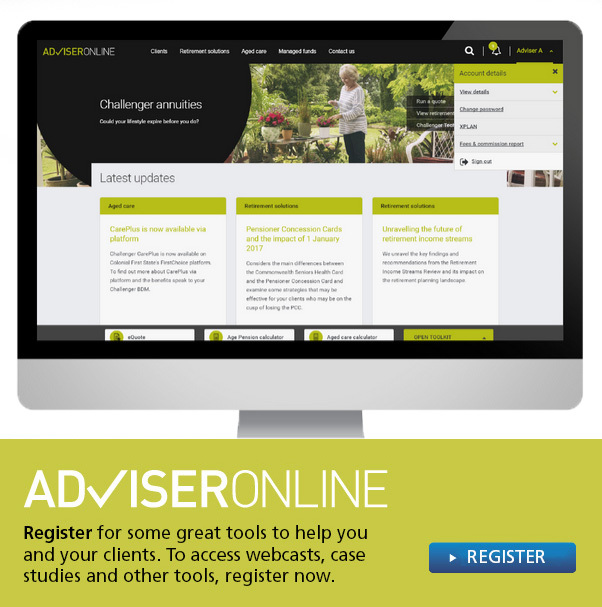 With an extensive range of tools and resources on offer for advisers, as well as Challenger's tailored CarePlus investment solution, you can now be better equipped to guide your clients and their loved ones through their next life stage and help them make informed decisions. Watch the short video below to learn about how you can help your aged care clients and use our Aged Care Calculator to illustrate various aged care scenarios. This website provides you with the knowledge needed to recognise aged care advice opportunities and offers a range of support tools through case studies, guides and a video to demonstrate the value of receiving aged care advice.